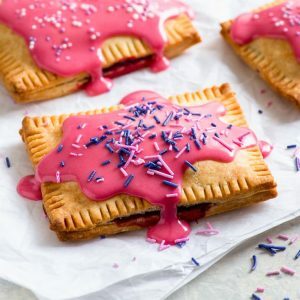 With naturally dyed vibrant pink frosting, these raspberry glazed gluten free pop tarts are as pretty as they are delicious! Plus, they’re super easy to make. Here we go again. No, you’re not having a deja vu. It really is a new pop tart recipe – what can I say, I’ve been on something of a pop tart roll lately. If you haven’t checked them out yet, take a peek at the wonderful s’mores pop tarts and triple chocolate pop tarts. So. Good. We’re going for nice and simple today. And pink. Seriously: All. The. Pink. Now, I’m usually not a huge fan of pink – in fact, when I was younger, I used to refuse to wear anything pink. (Fun times.) 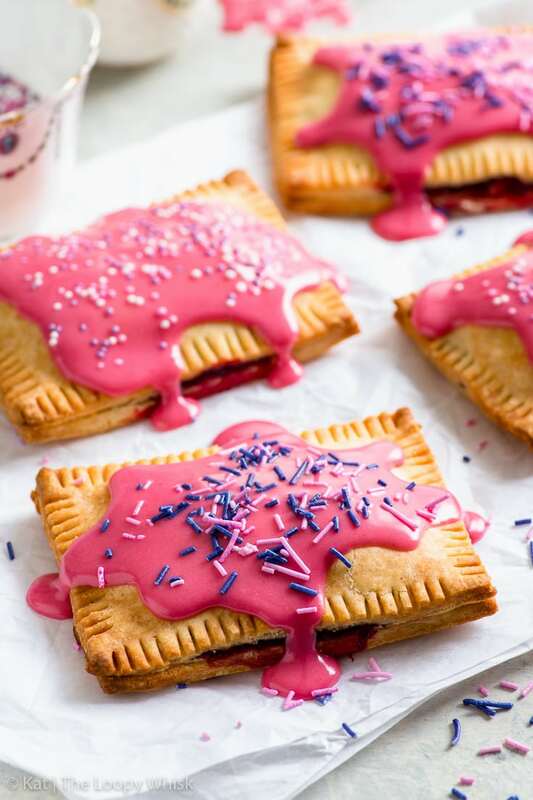 But I really love these pretty, vibrant pink raspberry glazed gluten free pop tarts. 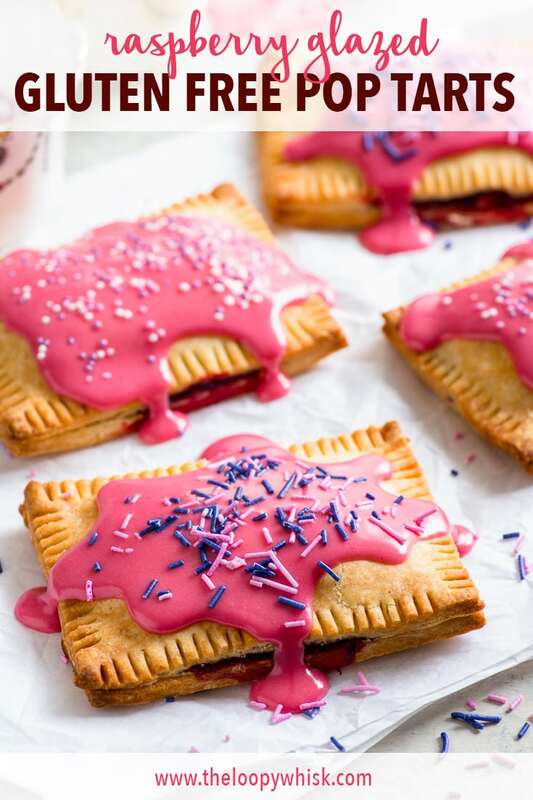 Firstly, the vibrant pink frosting is 100% naturally dyed with a simple raspberry reduction. This means that (a) there are no artificial dyes with strange ingredients and (b) in addition to the wonderful colour, you also get all that delicious raspberry flavour! The filling is a simple raspberry jam – I’ve made a quick homemade jam from some frozen raspberries I’ve had on hand, but you can totally go the store-bought route. If using a bought raspberry jam, I like to add a squeeze of lemon juice, to balance out the sweetness of the jam and bring out the natural tartness of the raspberries. 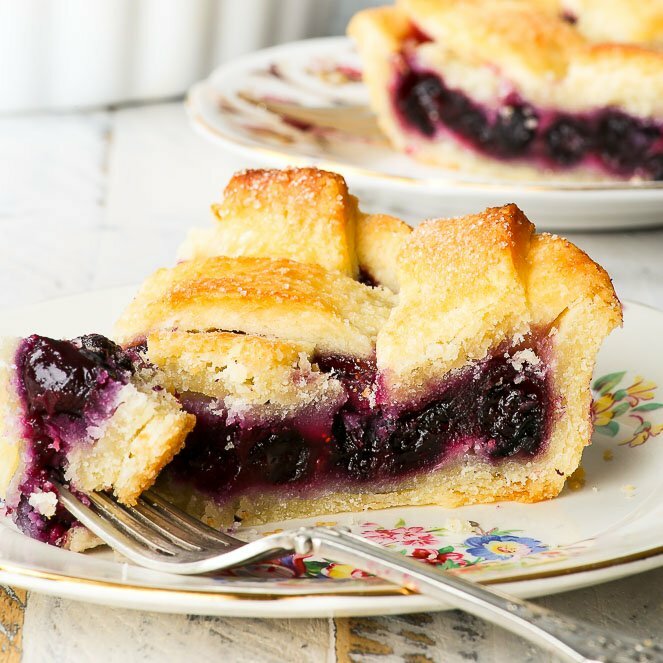 The gluten free pie crust is flaky, buttery, and ridiculously easy to make. 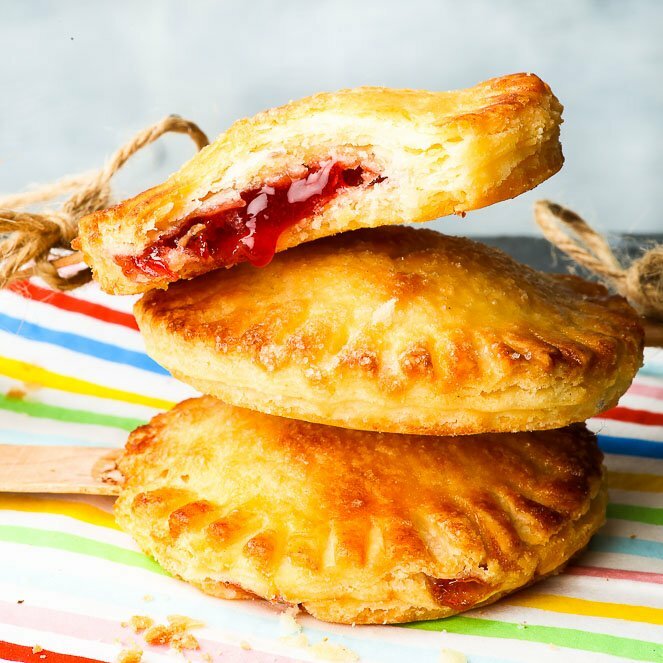 I’ve used my go-to gluten free pie crust recipe, which made an appearance before in this delicious blackberry pie, the perfect gluten free apple pie, and these mouthwatering s’more pop tarts. All together, these components combine to make the best gluten free pop tarts you’ve ever tasted. Okay, with the exception of the triple chocolate pop tarts. 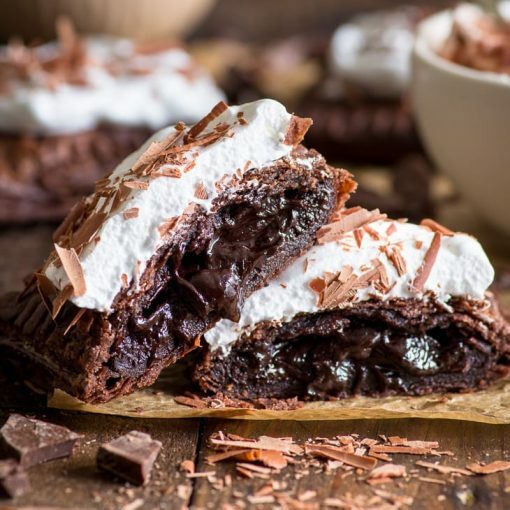 Nothing beats triple chocolate. Nothing. 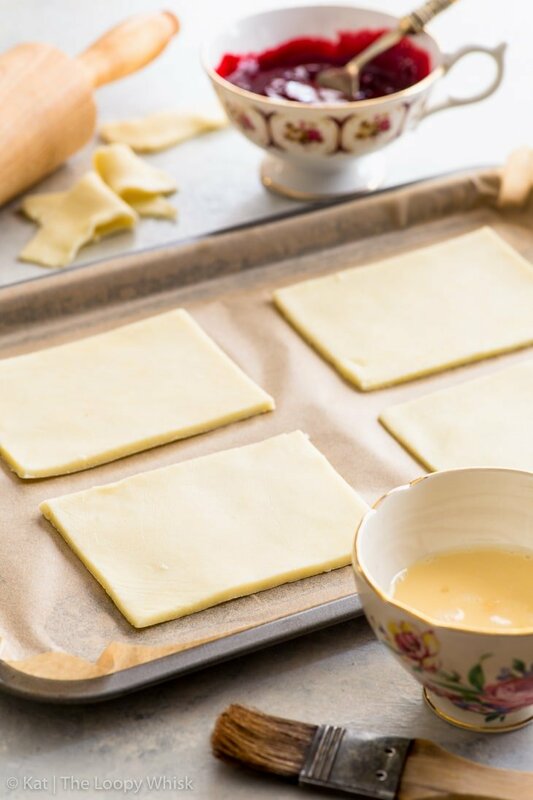 Next, roll out the pie dough to roughly 3 mm thick and cut out 3×4 inch rectangles. 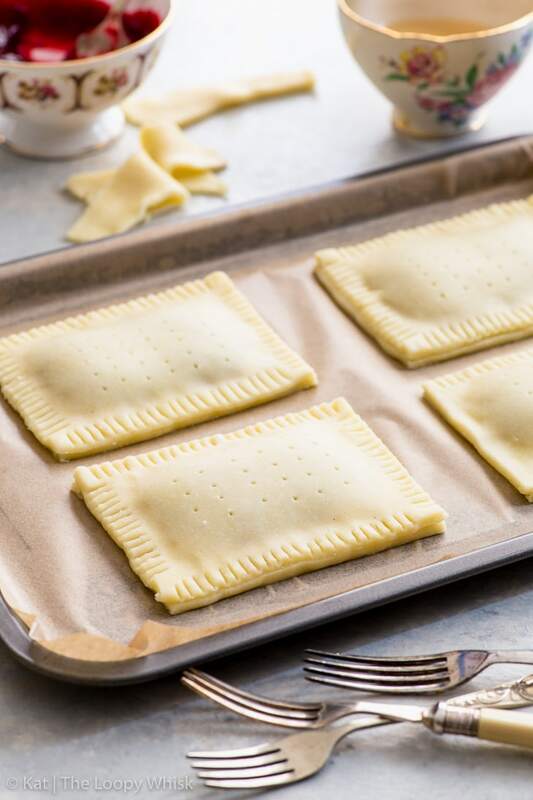 Place half of the rectangles onto a lined baking sheet, with at least 1/2 inch between them. Egg wash the edges. Do not skip this step. If you want to avoid using eggs, brushing the edges with water or milk works too. 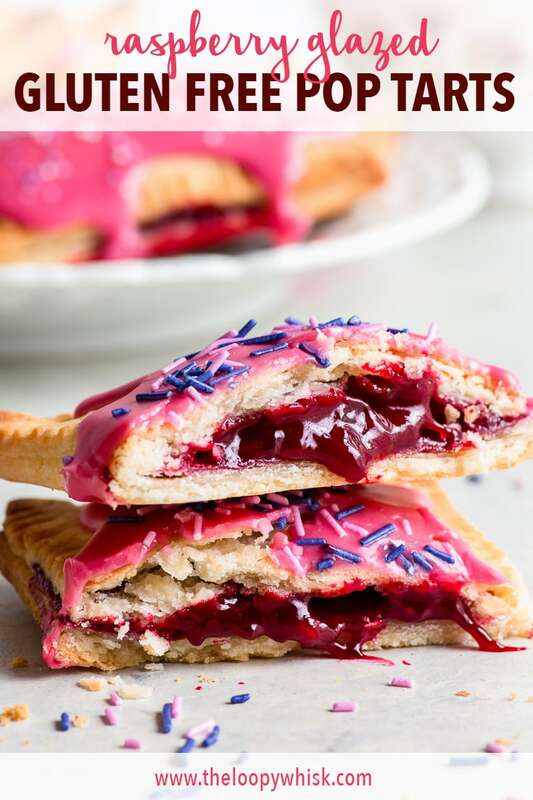 Brushing the edges will ensure that the pop tarts are properly sealed before they head into the oven – and therefore, prevent the dreaded filling leakage. Then, spoon on some of that lovely raspberry jam. About one heaped tablespoon should do it. 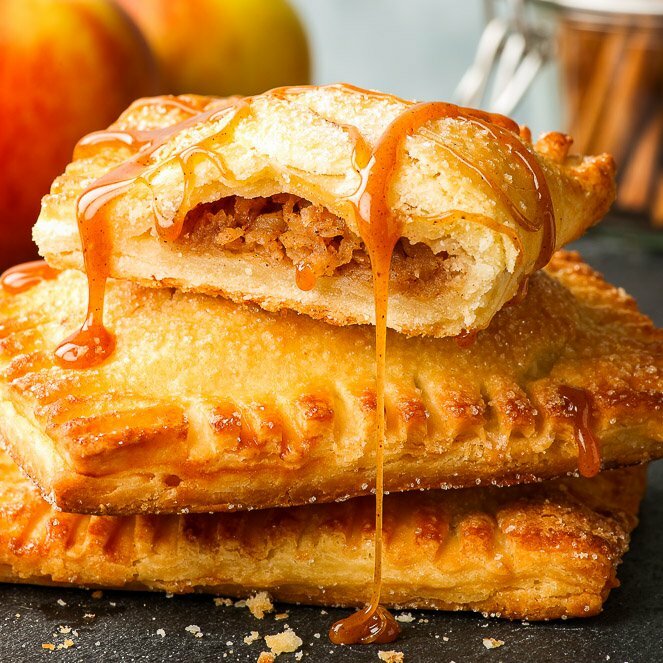 The more filling you try to fit in there, the more delicious the pop tarts will be… but also the greater the likelihood that they’ll burst while baking. It’s a balancing act. Prick the other rectangles with a toothpick or fork. 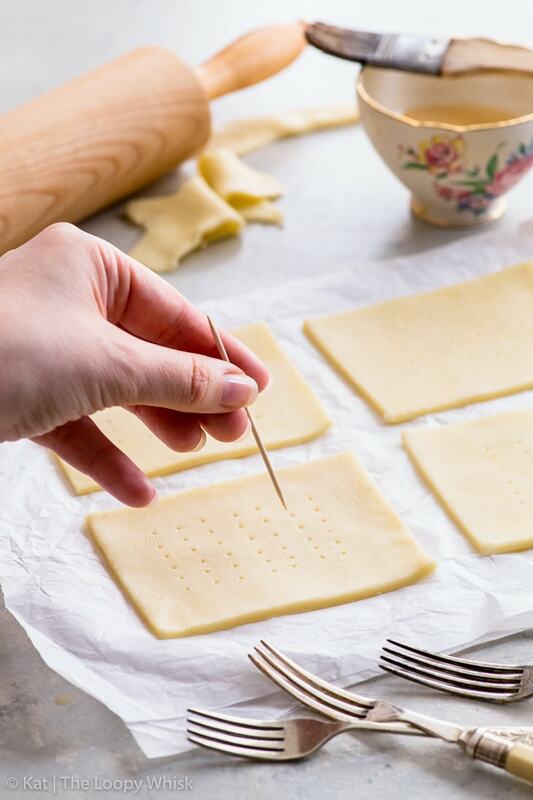 These will be the pop tart tops – and pricking them will help any steam to escape during baking. 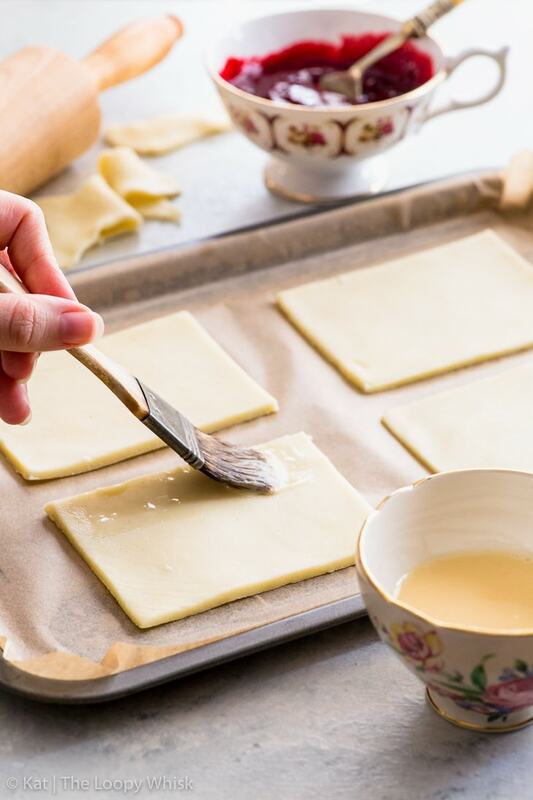 Pop the pricked rectangles on top of the filling, and gently seal the edges with your fingers. Be careful not to lose too much filling in the process. And if some does escape… no biggie. Call it rustic charm and move on. Make the edges pretty with a fork. Sure, this will help to additionally seal the pop tarts… but more importantly: it will give them that adorable crimped edge look. 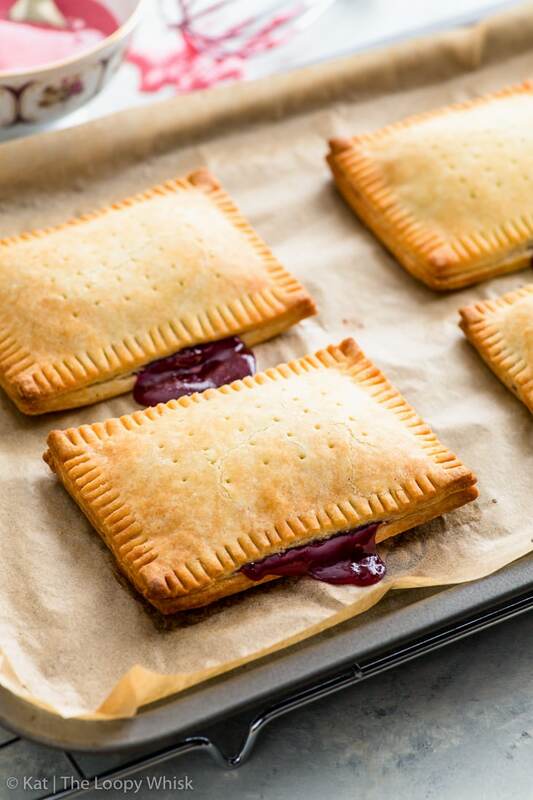 Then, pop the pop tarts into the oven (pun intended… I’m not sorry) and bake until slightly puffed up and golden brown. And, as you can see, despite our very best efforts… some of the filling has escaped. Oh well. Not the end of the world. It happens to the best of us. We’ve talked about the raspberry reduction many times before. It’s basically a puree of fresh or frozen raspberries that you pass through a sieve to remove the seeds and skins, and then you reduce the raspberry juice until it’s quite thick and viscous. 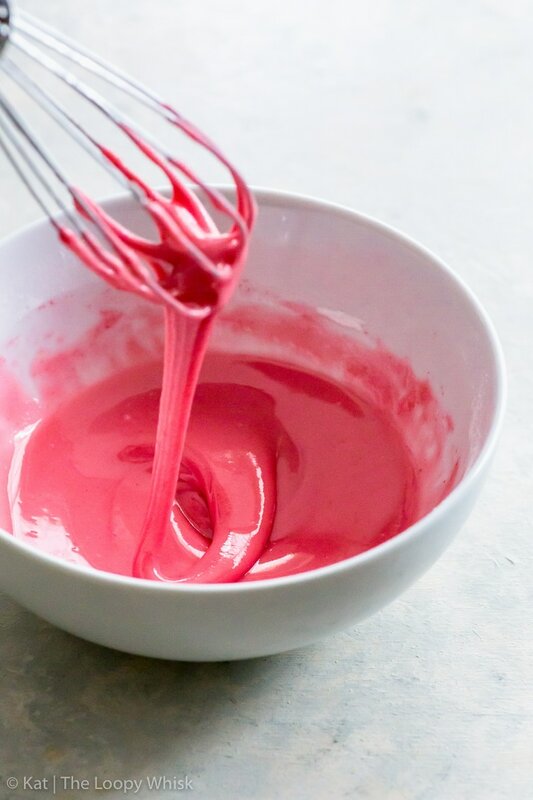 To make the lovely pink raspberry frosting, we’ll mix the raspberry reduction with powdered sugar, a squeeze of lemon juice and a bit of water. Whisk it up and admire the absolutely gorgeous pink colour. 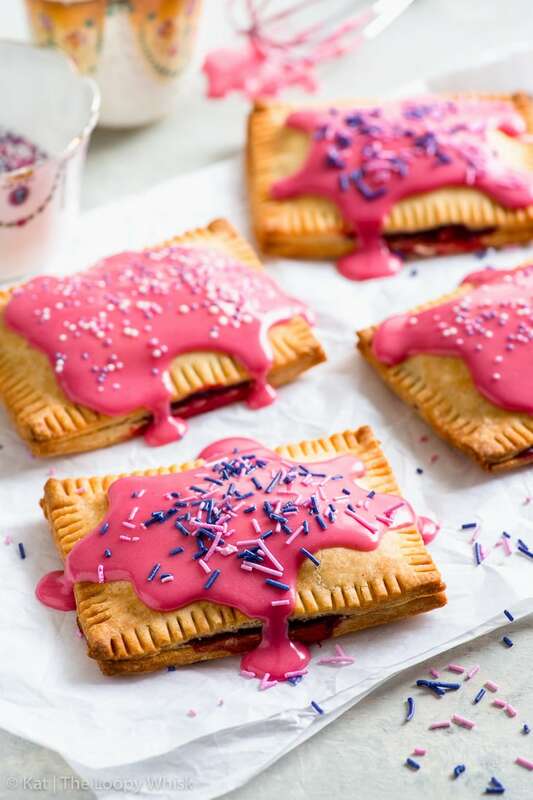 You can easily make the frosting a pale pink or almost a neon pink by adjusting the powdered sugar to raspberry reduction ratio. Have fun. 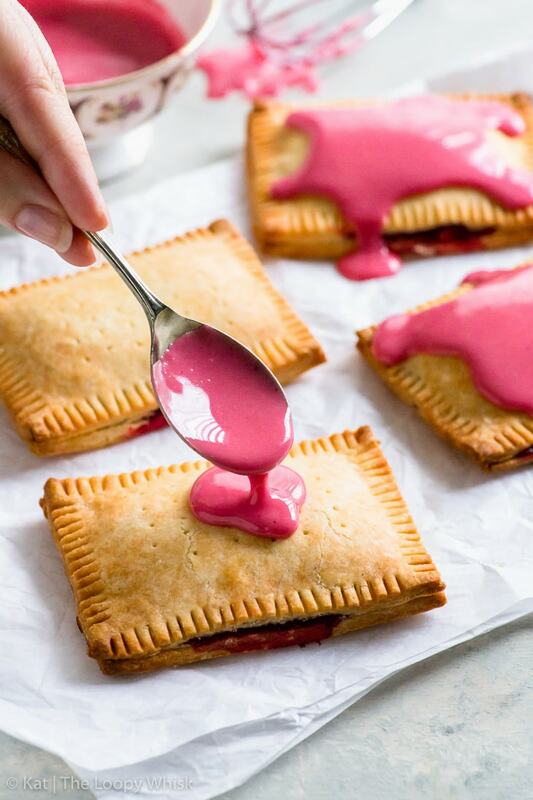 To decorate the gluten free pop tarts, spoon some of the raspberry frosting on top of each pop tart, spreading it slightly with the back of a spoon or spatula. Then, it’s time for the sprinkles. As many as you can fit on there. As colourful as you can stand it. Get in touch with your inner rainbow unicorn and go absolutely nuts. Sift together the gluten free flour, coconut flour, xanthan gum, salt and sugar. 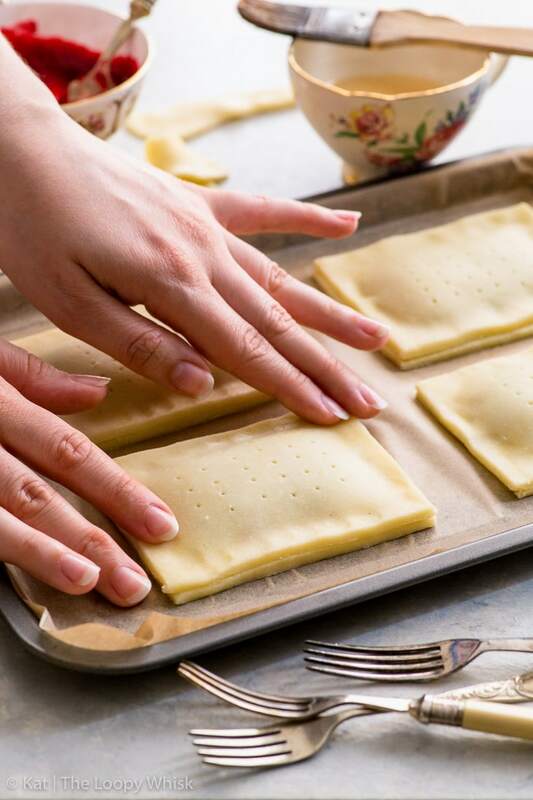 Shape the pie dough roughly into a rectangle (if needed, knead it slightly – but don't overwork it! ), wrap it into cling film and refrigerate for at least 1 hour. Mix the raspberry jam, lemon juice and cornstarch (optional) together until everything is evenly distributed. Roll out the chilled pie dough about 3 mm thick, and cut out 3 x 4 inch rectangles. You should get 16 rectangles (makes 8 pop tarts). 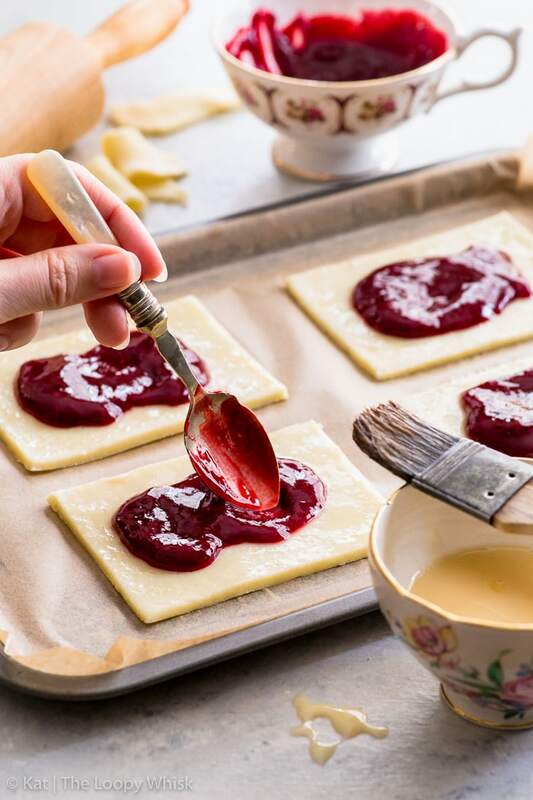 Egg wash the edges of half of the rectangles and spoon a heaped tablespoon of the raspberry jam filling into the centre of each one. Spread the filling slightly, but leave at least 3/4 inch room around the edge. 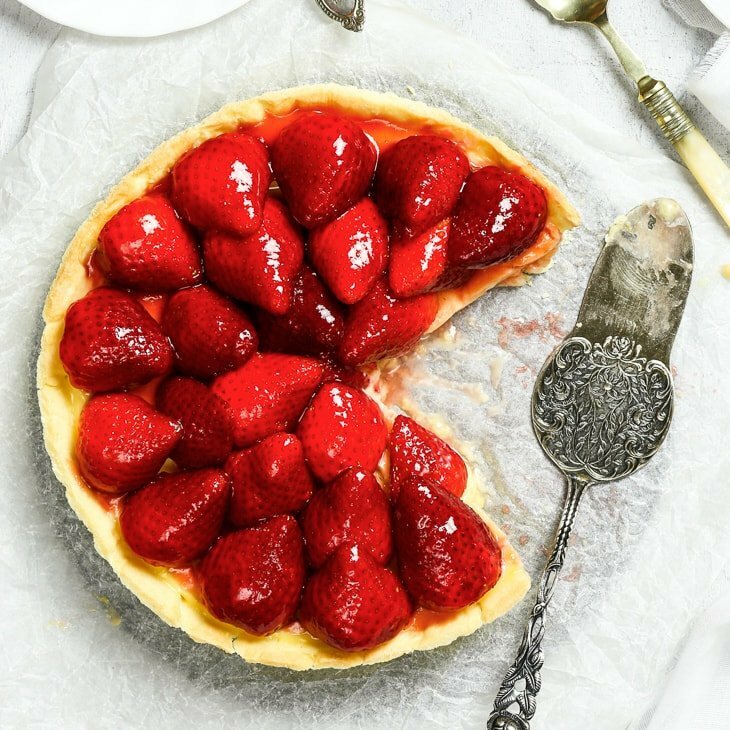 In a small saucepan, cook the raspberries on medium-high heat until they have released their juice and part of the liquid has evaporated. Return the raspberry juice to the saucepan and cook further until it has decreased in volume to about 1 - 2 tbsp. Mix together the powdered sugar, raspberry reduction and lemon juice. 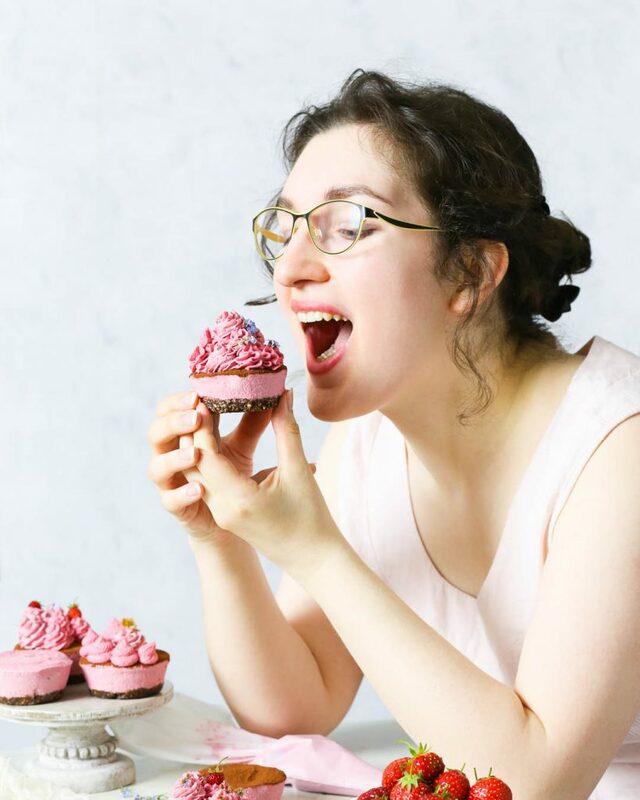 If the frosting is too thick, slowly add the water, one teaspoon at a time, mixing well after each addition, until you get the right frosting consistency. It should be runny, but still form a relatively thick layer of frosting. If the frosting is too runny, add more powdered sugar. If it's too thick add more water. You can control the intensity of the pink colour by adding less or more of the raspberry reduction. 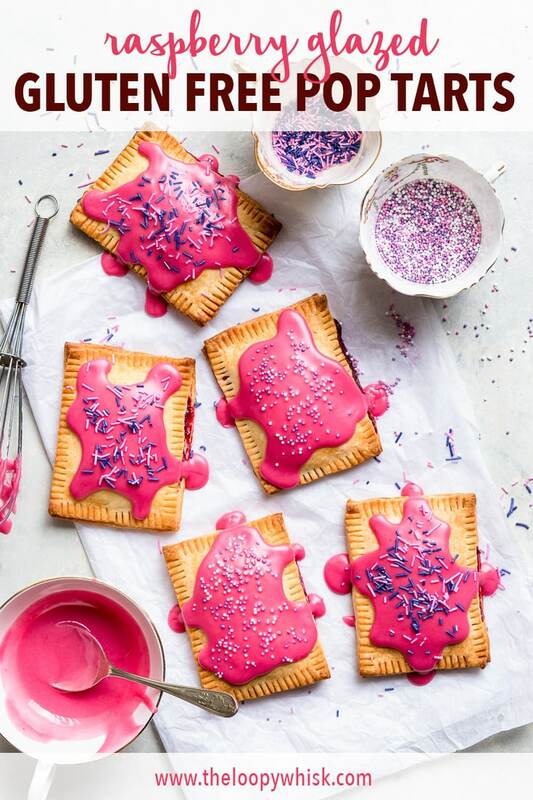 Spread the raspberry frosting onto the slightly cooled pop tarts and decorate with sprinkles of choice. 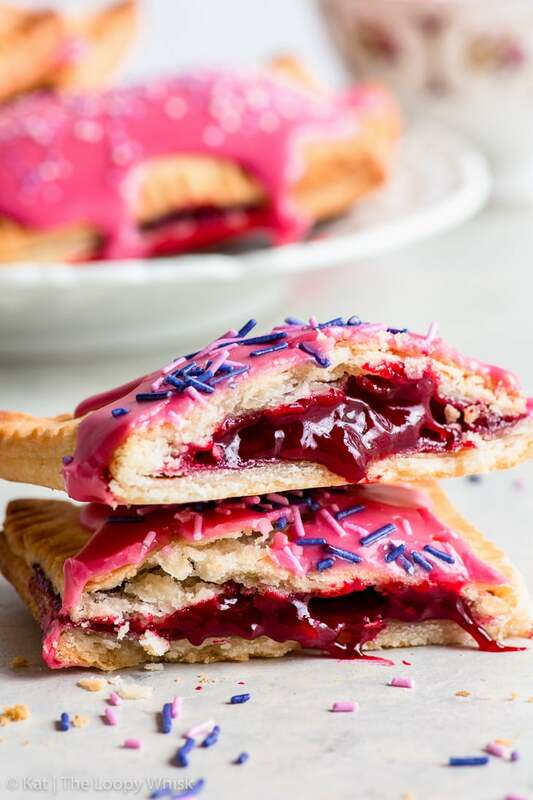 The raspberry glazed gluten free pop tarts keep well in a closed container in a cool dry place for 3 - 4 days. 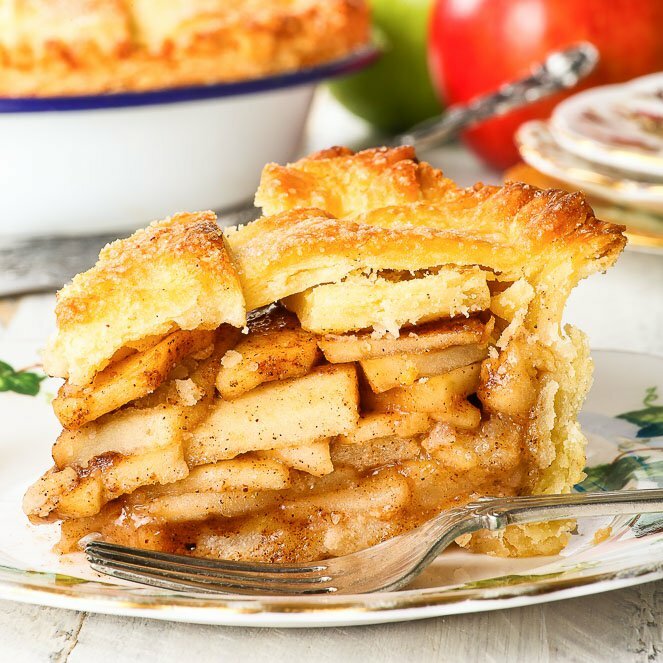 Looking for more delicious pie recipes? Hi Matthew, so happy you liked the recipe! Though I’m not sure what you mean by looking through links – the whole recipe (ingredients + method) is included in the post. Hey! I made these this week, and they turned out pretty good. A couple questions I have are: You list salt in the method part of the recipe, but salt is not one of the ingredients. I added 1/2 tsp as I wasn’t sure. Also, mine were not golden on top like yours, even though I baked them for closer to 30 mins in the oven. 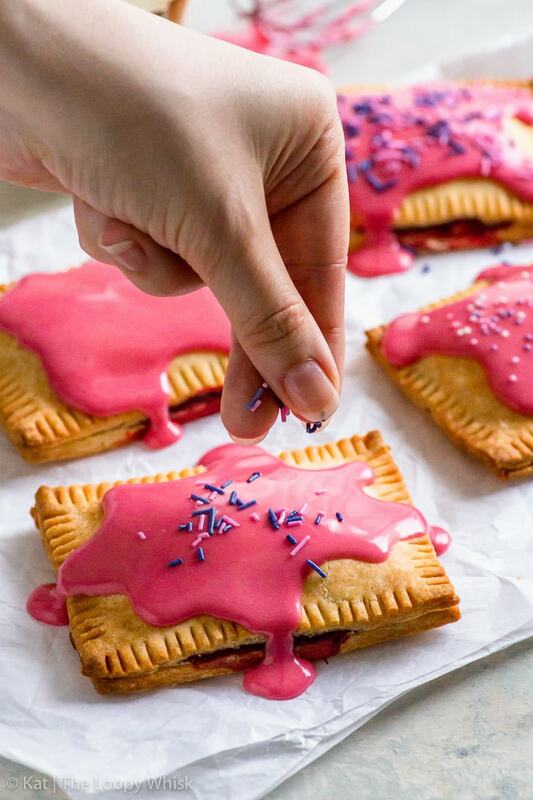 Did you brush the egg wash on the tops of the pop tarts before baking? Hi Julie, I must’ve forgotten to add the salt in the ingredients list, thank you for pointing that out. I didn’t egg wash the tops, they baked golden brown without it in my case. What kind of GF flour blend did you use? The specific blend can affect the browning, so that could be the reason. Is it possible or to replace the butter with coconut oil? I wouldn’t recommend it, as it has very different properties from butter.